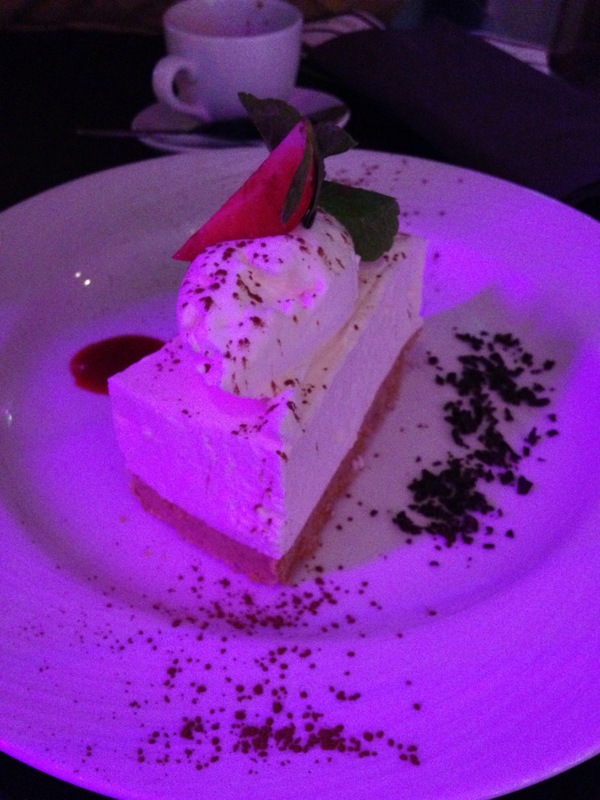 Last weekend we visited Derry to spend a two-night break at Waterfoot Hotel. I had one day’s leave left from work so I booked off Friday 12th December and we headed up on Thursday evening. 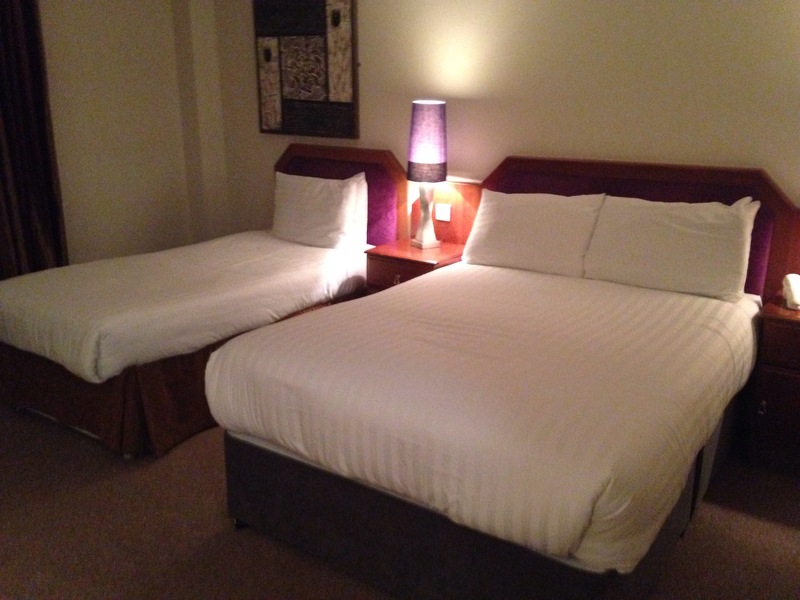 The hotel is about five minutes from the city centre, situated in the Waterside part of the city. The deal we had purchased included 2 night’s B&B and an evening meal on one of the nights. We were checked into a large room, with both a double and a single bed, having a quiet night on Thursday to get up early on Friday to explore the city centre. The breakfast on both mornings included a continental offering, as well as a cooked breakfast from their menu. 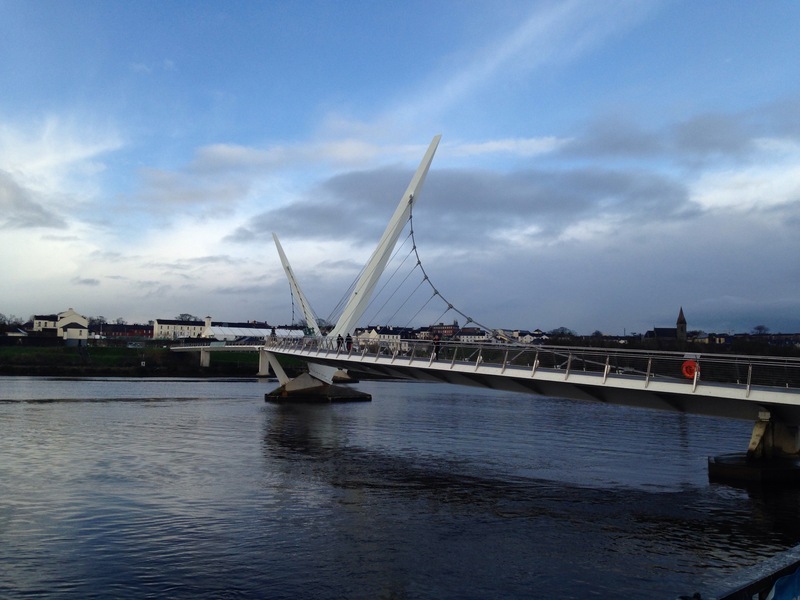 On Friday, we made our way into the city, crossing the Peace Bridge (as Barry had never visited it) and heading over to the ‘Christmas Village’ at Ebrington Square. When we arrived it was about 12 in the afternoon so it was still fairly quiet and probably not as lively had we visited in the evening. 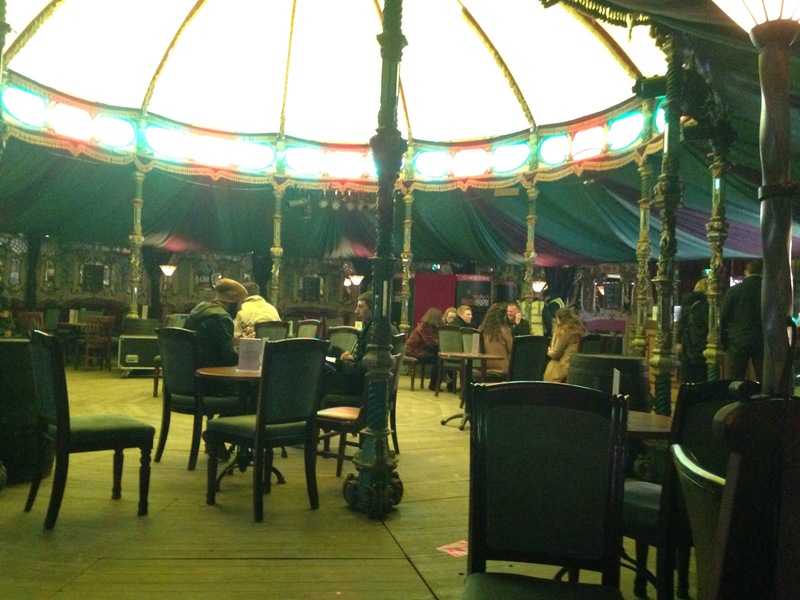 Saying that, there was a good atmosphere in one of the beer tents, and we enjoyed a nice mulled wine to get us in the Christmas spirit! The BBC Radio Foyle Mark Patterson show was coming live from the tent so we were treated to music from a male band and a group of young carol singers! We then did a bit of Christmas shopping and had a coffee break in the city, before heading back to Waterfoot Hotel where we were able to avail of our evening meal. The deal included a main course each but we also bought starters and one dessert directly with the hotel. 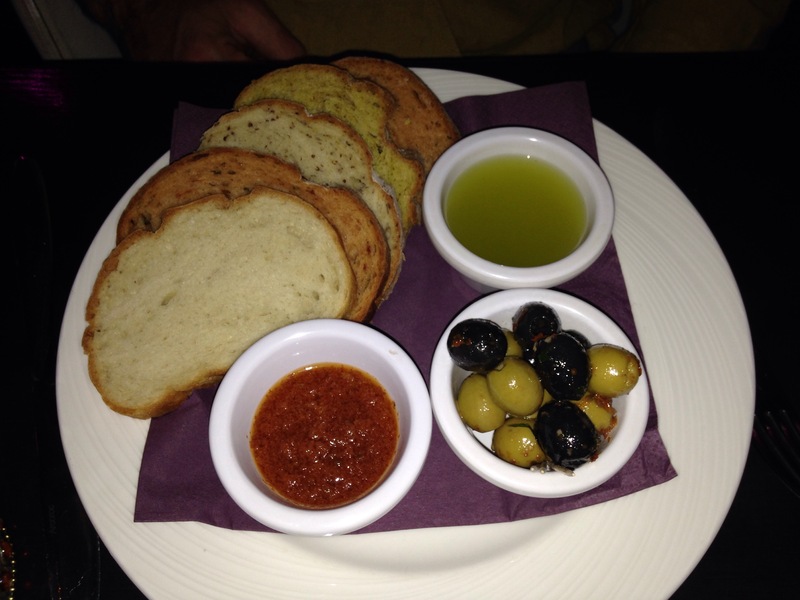 For starters we shared garlic ciabatta and a selection of breads, olives and dips. 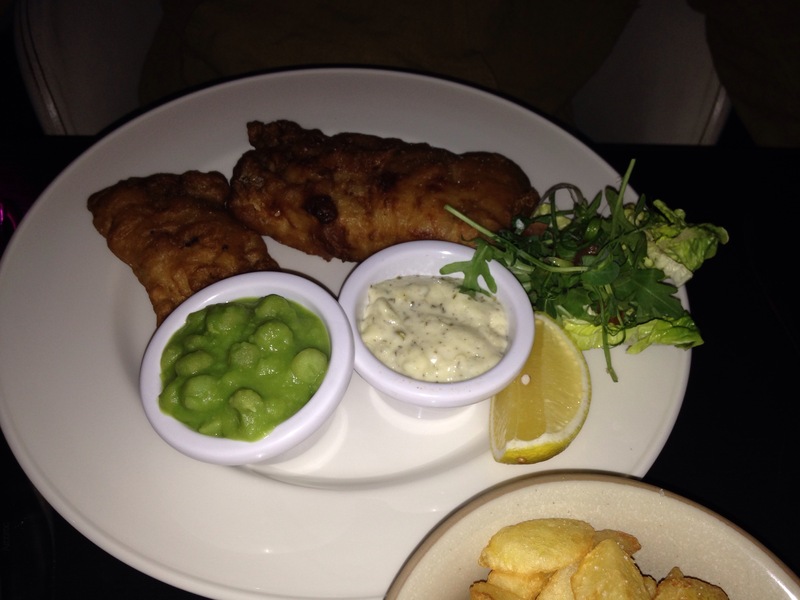 For mains I had lasagne and chips, while Barry went for the cod and chips. Finally for dessert we shared the white chocolate and vanilla cheesecake. A nice meal- hearty, home cooking style! We ate both our breakfast and dinner in the Wine Bar, which is a large, modern circular bar which even has its own walk-in wine room! We checked out on Saturday, having enjoyed a nice break enjoying Derry’s festive vibe!